​When I was six, I tried writing a novel. I never finished it. During the next tree years, I started one novel after another. Maybe I shouldn't call them "novels", since they never got very far. Then I saw Clash of the Titans for the first time. I watched it over and over, especially the scene with Medusa. I love Ray Harryhausen's monsters. They look handmade compared to the monsters you see today, but in my opinion they have a lot more personality. Clash of the Titans inspired me to start another novel when I was nine. This one had Medusa in it. I got off to a good start—then got stuck again! It was frustrating. One of my first novels was about a girl who loved chestnuts—but she could only have three a day. I never found out why because I didn't finish the story. Here's one of Ray's drawings for Medusa. 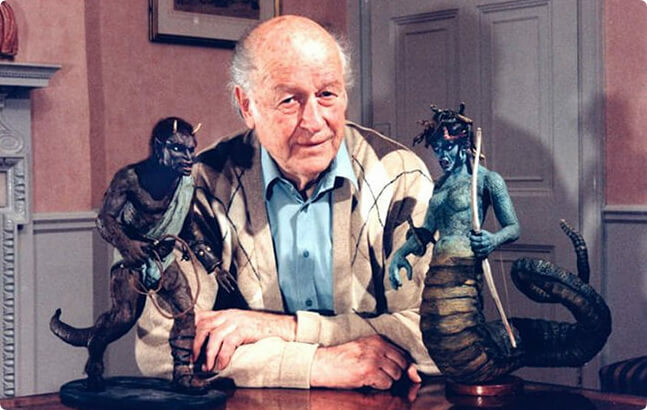 The Ray Harryhausen centenary is coming up! One day, my dad was talking about giving National Novel Writing Month a try. I got excited and signed up. I wrote 1,000 words a day for 30 days. Some days I wrote a little more, some days a little less. It was hard, mostly because I was teaching myself to type at the same time. Trust me, learn to type first--or write your draft by hand (like J.K. Rowling). On November 30th I had my first draft—and it was terrible! I’m not kidding. It was a mess. But I wasn’t discouraged because I had never made it this far before. I had a first draft! Then the hard part started: rewriting. Michael Crichton said, "Books are not written, they're rewritten." He wasn't kidding. When I didn't want to write, changing our location helped. We'd go to Barnes & Nobel, Podges, the library. Snacks helped too. A lot. Neil Gaiman's handwritten draft for The Graveyard Book. He wrote that amazing first paragraph in pen—and only one word changed in the final draft! 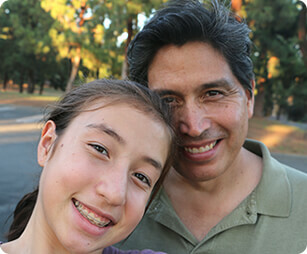 I found Elisabeth Alba on SCBWI. I asked if she'd be interested in doing the artwork—and she was! While I worked on rewrites, she worked on cover concepts. My second draft took about six months. My third draft was also my fourth and maybe my fifth draft. I rewrote every chapter so many times, I lost track! I did most of the rewrites in our little sunroom (like on the rainy day in the photo). This was before we had dogs, but animals still kept me company. Sometimes I caught lizards and kept them for a day or two in our terrarium. And a western scrub jay visited our backyard every day for peanuts. My dad acted as my mentor. When I got stuck, he’d ask a lot of questions and brainstorm with me to help me understand the scene. Or we’d act it out and then I’d write what happened. Rewriting took over a year! Everyone in my family proofed the "final" draft. We fixed all the mistakes we found, and sent that draft to Kelly Blixer and Ed Sweet, two professional proof readers. And they found more mistakes--hundreds more. Tip: hire a professional! My family helped proof the novel. Get as much help and encouragement as you can—you'll need it! Writing a novel made me want to hear great writers talk about writing—like Richard Peck, who wrote one of my favorite books, A Year Down Yonder. The book was finally published in April 2014—just in time for the L.A. Times Festival of Books. We went to a lot of festivals and conventions that year. The best part was meeting other young writers. A lot of them were struggling with their own books. They kept asking, "How did you do it?" My family created a presentation, Medusa's Guide to Novel Writing, to answer that question. I wanted them to know: if I can do it, you can do it. Don't give up! After all that work, the last thing I wanted to do was write another novel. But ideas kept popping up in my brain, so that November I signed up for NaNoWriMo again. 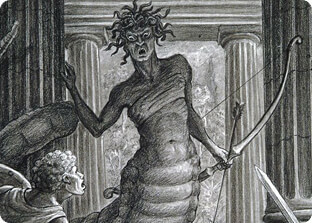 While working on the sequel, I was invited to present Medusa's Guide to Novel Writing for the Los Angeles School District and the Fullerton School District. At Fullerton, I also had the opportunity to mentor five middle school writers. We had a lot of fun. I thought my second novel would be easier to write because I had written one already. I was wrong. It was a lot harder!The sequel took a year and a half to finish. Toward the end, I was writing 6 hours a day—or more. I had promised a lot of readers it would be done by April. I kept my promise (just barely). The The Three Worlds was finished a few months before my 13th birthday—just in time for the 2016 L.A. Times Festival of Books. Festivals and conventions were fun—but exhausting too. I picked up these steampunk goggles at WonderCon. I met Neil Gaiman right after reading The Graveyard Book. He was so nice, but I was super shy and turned away in the middle of a sentence. Sorry, Neil! 1. Participate in National Novel Writing Month. The word counter helped me stay motivated, and I had fun meeting other writers at nearby write-ins. 2. Stay positive. Don’t get discouraged. Even if your first draft is awful (mine was). Keep going. 3. Get a good thesaurus. I recommend the Oxford American Writer’s Thesaurus. It helped a lot. 4. Take breaks... but not so many that you don’t finish. Also, go on Writing Days—days where you write all day, but take fun breaks, so it's an Adventure Day too. 5. Get a mentor and lots of support. 6. See it, feel it, write it. This was one of our mottos. Imagine what's happening. Try to feel what your characters are feeling. Then write that down. It makes writing a little easier. 7. Reaction, reaction, reaction. This was another one of our mottos. When anything happens, your characters need to react in their own way. 8. Practice instant writing. If you get stuck, just write. Don’t let your fingers stop moving. Write whatever comes to mind. Sooner or later, you’ll find what you need. 9. Enjoy your characters. Whenever I felt tired, Maisy would cheer me up. 10. Know when to stop. Your novel doesn’t have to be perfect. If you keep trying to make it perfect, you’ll edit forever. If you'd like more tips and fun stuff, sign up for my newsletter. The above was excerpted from the Afterword of The Monster Realm. On our Writing Days, one of my favorite breaks was crawdad fishing. They're like little dinosaurs! We'd catch them, admire them, and let them go. By the end of the day, we had fun—and I wrote for 8 hours! I dedicated The Three Worlds to my dad, "To my snack bringer, crawdad fishing buddy, and friend." I've been inspired by Ray since I was seven, when I saw Clash of the Titans for the first time. Unlike many of the computerized monsters you see today, Ray’s creatures have a lot of personality. You feel for them. His monsters seemed more like a dream. Ray said, "If you make things too real, sometimes you bring it down to the mundane." I think that's true. If I hadn’t seen Ray’s movies, I might not have been inspired to write my novels. Here are some of my favorite Ray Harryhausen movies. Clash of the Titans is my all-time favorite. Ray's Medusa inspired the Medusa in my book. Ray died on May 7, 2013, while I was rewriting The Monster Realm. I dedicated the book to him. Ray Harryhausen is buried in the U.K. So to celebrate his birthday, we visited the grave of one of his best friends, Ray Bradbury. I cried when I placed the flowers. 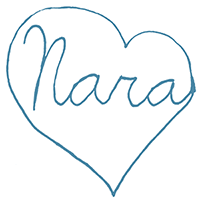 Get the books now—or sign up for Nara's newsletter and get a free Dragon Bestiary.